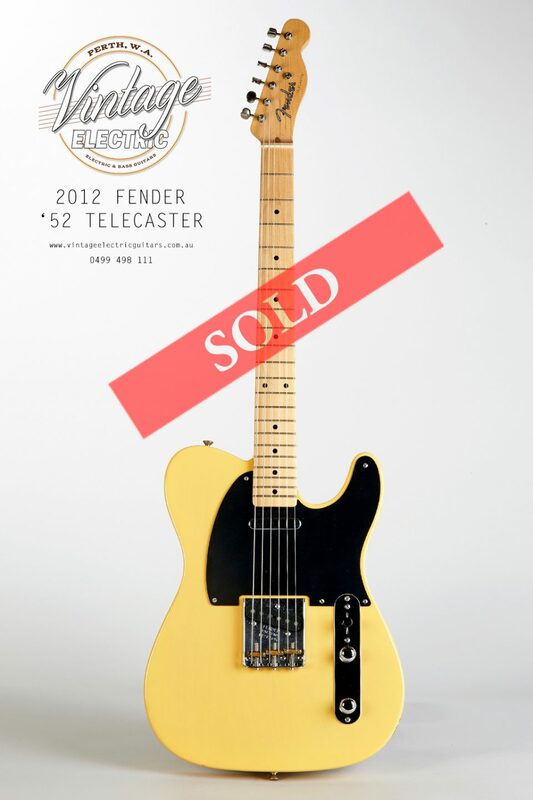 Butterscotch blonde 1952 Reissue Fender Telecaster in exceptionally clean condition. Period-correct specs produce the complex sounds that the Telecaster is known for. The bridge pickup is typically spikey and raw, but seems to have more guts and depth. The neck pickup delivers one of the softest, sweetest and rounded sounds that you’re ever likely to hear coming out of a solid-body guitar. Coming in the traditional flat, rectangular, Fender ‘tweed’ period case.